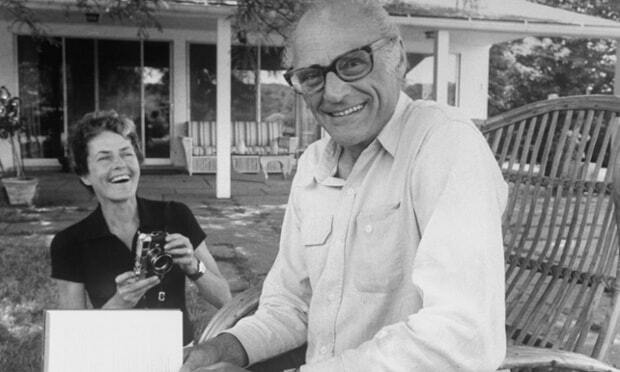 In part three of this series we take a look at Arthur Miller’s life after Marilyn. 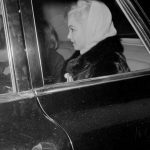 Marilyn and Arthur Miller’s lives changed once they returned from filming of The Misfits in November 1960 – they separated – with her going to live in their New York apartment, and Miller staying at the house in Roxbury, Connecticut. 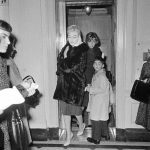 The couple reached an agreement prior to Marilyn travelling to Mexico to file for divorce in January 1961. 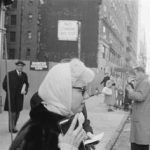 It included Miller keeping Hugo the dog, the house at Roxbury and all assets (aside from Marilyn’s things) and she got their New York apartment. There was no financial settlement made between the two – each kept their own money earned up to that point. 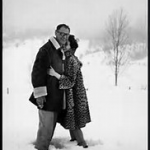 Miller began dating photographer Inge Morath immediately following the separation. Morath was a photographer who had been on the set of The Misfits in 1960. While it is a common belief that the couple had an affair during that time, it has always been denied by Miller. Both parties claimed no contact after The Misfits but happened to have run into each other in New York after filming had finished and started to see each other after that. Arthur, Inge and their daughter Rebecca. Miller and Morath married in February 1962. The first of their two children, Rebecca, was born on September 15, 1962, with their son, Daniel born in November 1966. 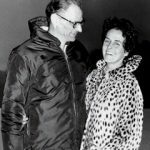 Dating Morath so soon after the marriage ended and having the children Marilyn so desperately wanted with her – while this was insensitive and no doubt very difficult for Marilyn, the truth is both had moved on. 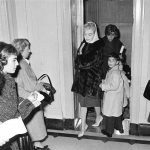 People argue that Miller should have attended Marilyn’s funeral, however whilst he was unable to attend, Miller did send flowers from both himself and his children. 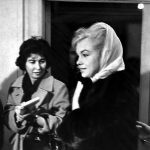 Following Marilyn’s death Miller published his play ‘After The Fall’ about his relationship with Marilyn. He denied it but it is clear that the character of Maggie is modeled after her. Following Daniel’s birth, he was diagnosed with Down Syndrome and Miller was said to have insisted on him being institutionalized. While this is extremely frowned upon today, at that time, it was not uncommon. 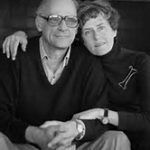 Miller and Morath remained together until her death in 2002. Towards the end of Millers life, Christopher Bigsby was writing a book about him and was given access to some of his papers and to interview Miller at Roxbury. Bigsby found that Miller had kept five letters Marilyn had written to him and Marilyn’s bicycle, which was hanging in the garage, in the same place she had left it – forty years before. Miller died on February 10, 2005 and is buried in Roxbury Centre Cemetary, Connecticut. His career as a writer spanned over seven decades and he is considered to be one of the greatest playwrights of the twentieth century.